If you have been injured in a car accident in Charlottesville, Augusta County, or Waynesboro, the chances are pretty good that the guilty driver of the other car does not have enough insurance coverage to compensate you fairly. Many times the victims of car accidents are amazed to discover that the driver of the other car has no insurance. In these situations, our personal injury lawyers in Charlottesville can help you make a claim using the uninsured or underinsured provisions of your insurance policy. In these cases, the available insurance coverage will be limited to the amount of the coverage your policy has for uninsured or underinsured claims. Before you are ever involved in a car accident, you may want to check your policy to see what kind of coverage you have for uninsured or underinsured motorist claims. You may be shocked to find that your coverage is minimal. Imagine if you are in a car accident and your injuries are serious. If you are facing surgery and are going to be out of work for a long period of time, does the amount of coverage you carry seem to be sufficient for the damages you are going to have. 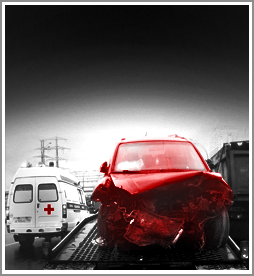 An experienced car accident lawyer of the Wilson Law Firm can look into other sources of coverage and/or possible avenues of recovery for situations where coverage is minimal and there is a serious injury. If you are the victim of a serious injury as a result of a car accident in Charlottesville, Augusta County, or Waynesboro, protect yourself and your loved ones by consulting one of our personal injury lawyers in Charlottesville. You do not want to be stuck thinking that the only recovery you have is the small amount of insurance coverage carried by the driver of the other car.